Dennis plays and teaches Scruggs style bluegrass, clawhammer, folk, traditional and even classical 5-string banjo. Dennis Fisher has been playing banjo for over 50 years. He was privileged to study bluegrass banjo under Warren Kennison, Jr. who helped the legendary Earl Scruggs develop his instruction manual Earl Scruggs and the Five String Banjo. 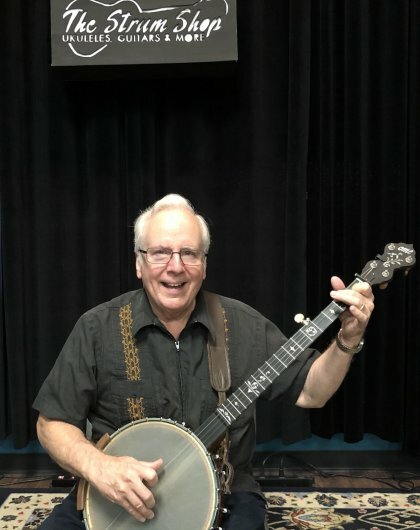 Having professionally taught banjo, Dennis also has performed for Ronald Reagan and played with music groups around the world. Dennis takes a special interest in students young and old helping spread his enthusiasm for the love of music.